When I was in Omaha last month for the Josh Groban concert with my mom and sister, we took a walk along the riverfront in this 31-acre park. 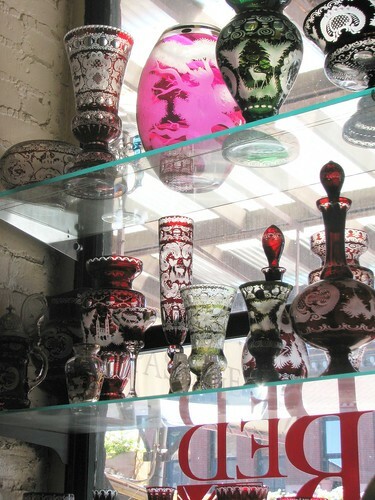 It is located in downtown Omaha and is quite beautiful. This is Kaitlin's favorite blanket, "Fuzzy." Submit your image of "Comfort" for this week's Photo Friday. Kaitlin is sick today. She woke up about 2:30 a.m. complaining of a stomach ache and threw up all over our dry clean only comforter about a half hour later. I won't go into detail about what we had for supper, but it was still amazing 'in tact'. Not fun. I put the sheets in the washer right away and cleaned up the comforter as best I could and we went to sleep in the spare bedroom. The rest of the night was pretty fitful and her stomach was still bothering this morning, so no school/no work. She's feeling better now...after the third round of vomiting, she started to feel a little more spunky. She spent most the day on the couch watching 'toons and napping occasionally. I spent the day cleaning out and reorganizing the furniture in our spare bedroom. This project was FAR past overdue (and my initiative was sparked after laying in there all night feeling like stuff was suffocating me), but it looks great! Like a bedroom again! A very productive sick day for me! In the process of moving a large bookshelf, I had to take off all my books and ran across a few things. I used to write...a lot. Mostly poetry and in high school and college, I even had a few pieces published. These were my first two published pieces in Prairie Winds (a South Dakota literary and visual arts magazine) when I was a sophomore in high school. casts blue shadows on darkened earth. that echo in black space. smelling of a mountain thunderstorm. the sky remains their worshiping ground. No similar theme there, huh? I think I was really into the night and nature at the time. I remember thinking these poems sounded 'mysterious' and 'romantic'...now they just seem kind of dark. The first one also won 2nd place in the free form, division 4 contest for the South Dakota State Poetry Society that year...I remember being so proud of that. Omaha's Old Market is such a great place to wander and shop...and take pictures! Reader Poll: Let me know which picture is your favorite in the comments! Visit My Amazon Storefront and my eBay Store to see what I have for sale! Finally getting around to editing some of the photos from my trip to Omaha with my Mom and sister a couple weeks ago. Even though I didn't get any shots of Josh at the concert (I guess I'm not enough of a rebel to try to sneak in a camera like so many others did...), I did get some neat shots around town. 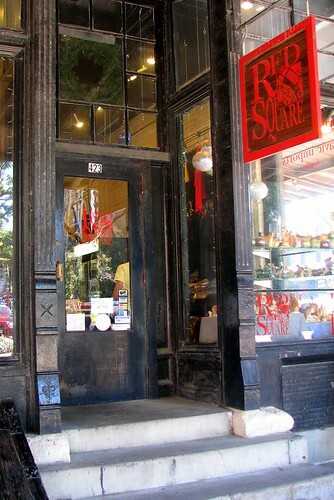 This is the storefront of a place called the Red Square in Omaha's Old Market. It is owned by a Czechoslovakian couple who come to Tabor's Czech Days every year. The girls in our family have gotten something for Christmas from them almost every year for several years. I've gotten a pair of Czechoslovakian crystal wine glasses and a vase, a garnet necklace and a bracelet...I'm forgetting something...but thanks Mom and Dad. They are all beautiful and will be wonderful family keepsakes! I even got my wedding jewelry from them. It's a really neat place...you should stop in if you're ever in the area. I have a lot more pictures from our Omaha trip...more to come! Every once in a while you run into something cute in email forwards...this is one of those times. I got this one from my mother-in-law a while ago...just getting around to sharing it. Thanks, Ruth! It still makes me smile! Type in a command (sit, roll over, down, stand, sing, dance, shake, fetch, play dead etc. ), click submit and see what happens. It's also very cute if you type in a command that's not recognized!! Make sure you type in "kiss" too, but do it last. It's certainly been a crazy week. I left home for Omaha, NE on Sunday afternoon and in three days (M-W), I visited every Catholic high school in Omaha plus a couple in neighboring suburbs as part of Omaha Catholic College Fair Week. I talked to A LOT of students, a few parents, hung out with a few 'old' admissions counselor friends in our 'off' hours, made a few new admissions counselor friends, and spent WAY too much money while shopping at places that we don't have at home...like Target...love that store! 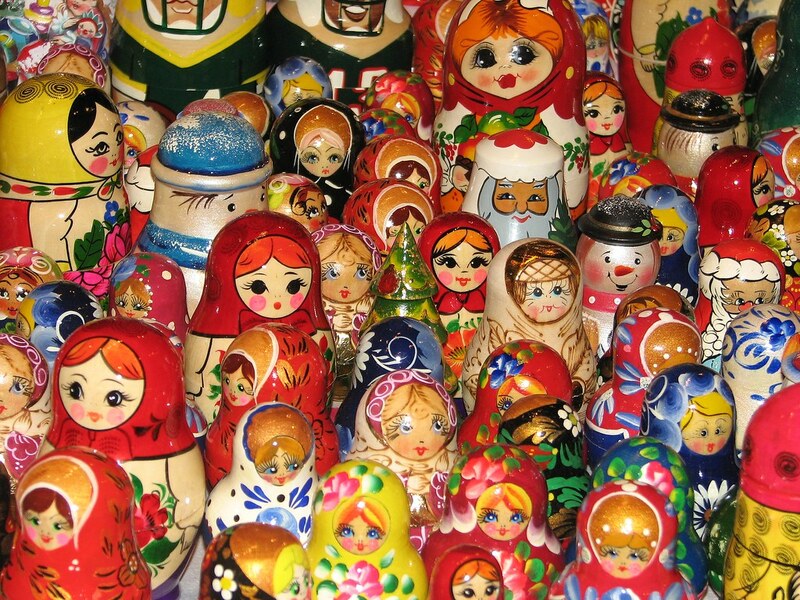 I say a 'few old friends' because I'm a bit of an anomaly in the Admissions world. Most counselor make it 1-2, maybe three years in this business, so seven years is pretty rare. So, every fall that I go out, there's always plenty of new faces behind the school banners. There were colleges represented from the Midwest, of course, but also states such as Louisianna, Oregon, Ohio, Texas, California and more. It's really fun to meet and get to know people from all over the country like that. I don't talk about my job much on this blog and that's intentional...I've heard too many horror stories about people getting fired because of something they said about their jobs. Not that I really have much negative to say (actually, I quite enjoy my work and coworkers), but sometimes it's just better to be safe than sorry. However, I'll take a chance. If any of you have questions about what it's like to be an Admissions Counselor or about college planning, let me know. Maybe I can help you out! I just got home from Omaha last night and Kaitlin and I are turning around to head back out on the road tomorrow to head up to the Twin Cities with my family. A cousin of mine is getting married and we decided to make a mini-vacation of sorts. This cousin has a sister that is my same age and when we were younger, we were VERY close (like write each other 10 page letters every other week close), but as we've 'grown up', we've really lost touch. I am excited to see her again after all these years (15 maybe?) and also to have our daughters meet. Then, since we're going to be in the area anyway, we decided to all stay a second day to attend the Minnesota Renaissance Fair in Shakopee. I have wanted to go to this ever since I was in college, but never really had the opportunity...until now, so I'm taking it. As a bonus, my sister happened to get 6 free tickets into it!! Exactly how many tickets we needed...what luck! I imagine I'll have a few hundred pictures once I get back home, so will hopefully be sharing a few of those here soon. 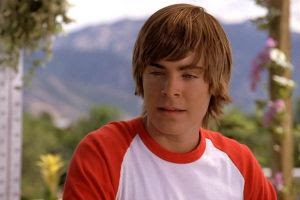 So, Kaitlin’s really got a thing for High School Musical lately. The other night, High School Musical 2 was showing on Disney and Kaitlin was watching while I was uploading some pictures to Shutterfly. Troy, whom I pretended not to know, was in the middle of singing a solo and I saw Kaitlin mouthing the lyrics. “That guy?” she asked pointing at the TV. Here's My Page in Simple Scrapbooks "Scrapbook Play!" 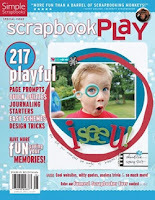 Scrapbook Play, the Simple Scrapbooks special issue that is home to one of my layouts it OUT!! I saw it for the first time in Archiver's in Omaha last weekend. It was just as exciting as the first time to actually see one of my layouts in print. Even though I've known for months that it was coming, there's just nothing like having the publication in hand. I haven't had a chance to make it through the whole magazine yet, but what I have seen, I LOVE! There are some great ideas in this special issue. Just a side note on the Sunday Spur for Scrapbookers...as I am getting ready for several days travel on the road for work this week, there will be no SSFS tomorrow. Stay tuned and in the meantime visit (or revisit) some of the previous SSFS's editions for a little extra inspiration. A Review of The Digital Photography Book by Scott Kelby. This entire book is written with a brilliant premise, and here’s how Scott describes it: "If you and I were out on a shoot, and you asked me, 'Hey, how do I get this flower to be in focus, but I want the background out of focus?' I wouldn't stand there and give you a lecture about aperture, exposure, and depth of field. In real life, I'd just say, 'Get out your telephoto lens, set your f/stop to f/2.8, focus on the flower, and fire away.' You'd say, 'OK,' and you'd get the shot. That's what this book is all about. A book of you and I shooting, and I answer the questions, give you advice, and share the secrets I've learned just like I would with a friend, without all the technical explanations and without all the techno-photo-speak." The ONLY thing I can think of right now that I don't like about this book is that it isn't available in hardcover. Seriously, I'm going to wear this book out! I love the personal, down-to-earth approach in which Kelby authored this book. He also has a bit of a quirky sense of humor that really appealed to me and made it seem as if I were learning from a close friend rather than the President of NAPP (National Association of Photoshop Professionals). I also love the fact that every page is like a mini lesson, focusing on ONE aspect to help improve your photos...no droning on with complicated terminology for page after page in this book! *Chapter 11 - Photo Recipes to Help You Get "The Shot"
Initially, you might be thinking (if you're like me), "I only want to be able good shots of my kids (or something else). I don't need to know about flowers and landscapes or that other stuff." Don't be fooled by the chapter titles, though. TRUST ME...you will learn something that you can apply to your photography goals in EVERY chapter of this book! Not only that, but I have been wanting to make the upgrade to a true DSLR (I currently use a Canon S3IS) for some time now, but didn't really know where to start in terms of equipment. This book also really helped me flesh out my needs in terms of the photography I would like to achieve and create quite the wish list. Not all of the following items are specifically mentioned by Kelby, but through his tips and suggested products, I was able to better develop a list of the equipment that would serve my needs (at least as a beginner's DSLR set). *Photoflex - MultiDisc Reflector 5-n-1 Kit 32"
Yeah...pretty expensive list, but I'm saving my pennies. In conclusion, I think this is a WONDERFUL reference for any photographer who wishes improve their skills. You will not be disappointed! The One & Only Goal! So, Kaitlin had her first soccer game tonight. I am very proud of how she did...she got in there and gave it her all. She really got in there and played with the boys! I can't wait to see how she's going to learn and improve over the next month and a half. I get it...some people just don't understand the concept of scrapping. Why spend all that time, effort, money just for a pile of pictures?? And in all actuality, I probably would have been one of those people about six years ago. For me, so much has changed in six short years. 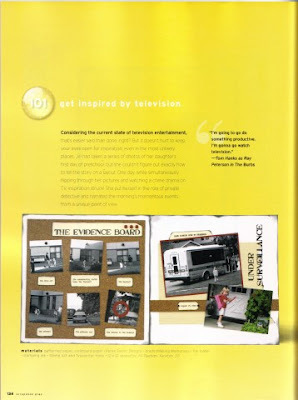 Debra Roby posted the "Why Scrapbook?" question on her blog at BlogHer the other day and many scrapper's have logged on to voice their opinion. I enjoy the whole process…taking pictures of the people and places that I love, finding new and beautiful product to showcase those photos, and preserving the stories and feelings behind the photos through journaling. It makes me feel fulfilled that I am recording memories that I might have forgotten completely. It makes me feel fulfilled that my daughter will have a better record of the portion of her childhood she is not old enough to remember for herself as well as a testament to how precious she is to me. It makes me feel fulfilled that one day her grandchildren will not have to wonder what their grandmother looked like or what her life was like as a child (as I do of my grandmothers). They will be able to relive it together through her scrapbooks…and maybe even learn a little bit about me, too, in the process. That was my answer today. Tomorrow I could probably come up with five different reasons. Scrapbooking is just that much a part of my life now...it's part of who I am. There are some very insightful and inspiring responces to this very personal question already in the thread. Reading others responses helped me to 'discover' even more reasons why scrapbooking has become so engrained in me. *Visit Debra's post and read her post and the comments. *Then, ponder the question for yourself. Why do you scrapbook? *Put you reason in writing as a comment to Debra's post (remember to leave a link here) or in the comments right here if you prefer. Josh...You Were Everything I Expected...and SO MUCH MORE! 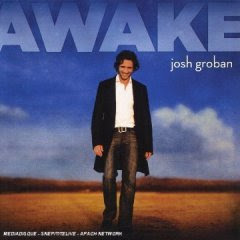 I have been super excited for Josh Groban's Awake Concert in Omaha for months now. Despite spending what, to me, is a lot of money for a ticket, I knew it would be a great show. Well, I was most certainly not disappointed. Nor were my mom or sister, who previously were not quite as 'in love' with Josh as I am (my sister didn't even know who he was...gasp...the horror!). However, after the concert, I think they are believers in the wonders of Josh as well! *He has a voice that moves me. *He is amazingly handsome in a very unconventional way. *He is musically inclined beyond his voice. For a few songs in the performance he took to the piano and it was beautiful and for a song towards the end of the show, he took over the drums as well. *He's FUNNY. No, really funny. Not liked staged, comedian funny, but off-the-cuff funny. Some of it, of course, was more in the way that he said stuff than what he said, so it's hard to express it here, but believe me, he's funny. *He may be talented musically, but the boy can't dance. After his duet with Kidjo (his opening act), she attempted to get him to dance. (That, too, was also a little funny. :-)) At the same time, the fact that he was willing to 'expose' one of his 'weaknesses' makes him just that much more charming. In all seriousness, I cannot remember a time in my life that I have been moved from tears of emotional awe to laughter and back and forth so many times within a 2 hour period. This guy is a true entertainer. Honestly, there were moments within the show that I felt a bit like Julia Roberts in Pretty Women in the scene where she attends the opera for the first time and she is so awed that her chest swells up, eyebrows raise and blinks away her tears. Really, I've mainly shared my impressions of Josh and my experience at this concert, but if you'd like more 'details', here is a great review I found of the concert. It seems this reviewer agrees with me that Josh is much more than what you might initially suspect. She also gives a great rundown of the content of the show and although it was for a different location, it sounds pretty much the same. My only regrets...now I wish I would have gotten over the price a bit more and paid more for closer seats and I now kind of wish I would have taken my daughter along. Yes, she's only 5, but I know she would have loved this experience, too. An appreciation for GREAT music can never be developed too early. I'll make up for that the next time Josh comes back our way...I would pay double to see him again...and next time Kaitlin will be with me.